Michelle Goyke is an associate with Hinkhouse Williams Walsh LLP. Michelle focuses her practice on insurance coverage litigation. Prior to joining the firm, Michelle served as a judicial law clerk to Justice Richard H. Bernstein of the Michigan Supreme Court. During law school, she was an Associate Editor of the Northwestern University Law Review. 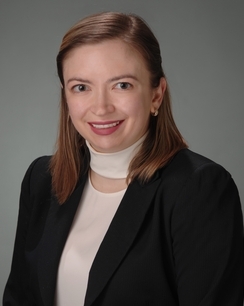 She also worked as a student attorney in the Federal Criminal Appellate Clinic in Northwestern Pritzker School of Law’s Bluhm Legal Clinic, representing indigent criminal defendants before the U.S. Court of Appeals for the Seventh Circuit.